Only two books in the Bible are named after women, the books of Ruth and Esther. Both books are master narratives. But something I find very interesting about these two stories is their similarities. Reading these two books back to back allows you to observe that both stories are about women who had a major impact of the Jewish people. With all their similarities, the books of Ruth and Esther took place in very different times. 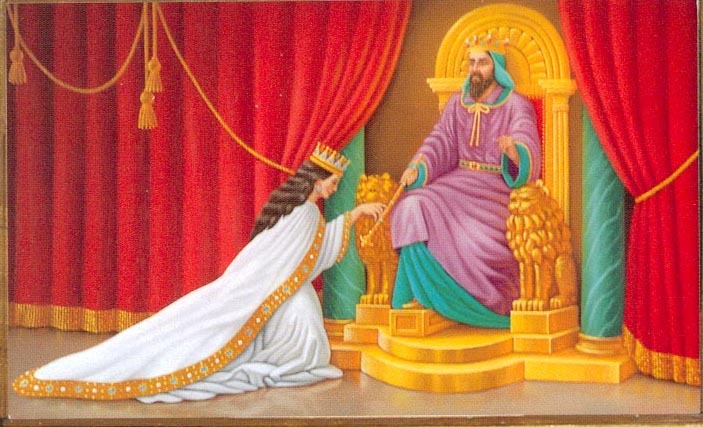 According to Robert Lintzenich, the difference in years is about 700 years with Ruth being set in the time of judges and Esther in the postexilic period. Even though the two stories are set in different times, they share similar themes. The first theme I noticed was that both women were foreigners. Ruth was a woman of Moab who was residing in Bethlehem of Judah and Esther was a Jewish woman living in the city of Susa of the Persian Empire. For both women their foreignness would have a significant effect upon their development. The second theme of the two stories is the providence and divine action of God. These two books both present god working divinely through indirect activity. God worked, but he worked behind the scenes. His name was mentioned by the characters in Ruth as they blessed one another, but only twice does the narrator describe the Lord as performing some action. Similarly, in Esther’s story, God’s name is not mentioned at all. Despite these apparent absences, the reader is aware of God’s presence as he clearly delivered Ruth and her mother-in-law, Naomi, from the poverty of widowhood, and delivered Ruth’s people from annihilation. God’s presence is assumed throughout these stories. God did not show up threw great miracles or displays of power; He simply seemed to work through two women of unpretentious backgrounds. The stories of Ruth and Esther are even crafted similarly. Tension builds throughout the books and then key turning points happen and the stories finish with happy endings. Ruth faces widowhood and struggles to support herself, but finds Boaz who “saves” Ruth and Naomi from poverty. In Esther, tension and suspense build as they do in Ruth. Instead of the natural calamities of death and poverty like in Ruth, Esther faced a human enemy who wanted to destroy her and her people. Ruth’s turning point occurs when the king listened to a reading of the royal chronicles. What he heard changed the story’s course. Both Ruth and Esther were strong women, firm in their faith. Both were deemed important enough to a patriarchal culture to have their stories included in that culture’s most sacred writings. Both were utterly faithful to what they perceived God’s will to be, no matter what. Something very unique about both Ruth and Esther is that they are two of the few women who are described in a positive light. They were hard workers and good people, versus harlots or deceitful women. Ruth’’s character is clearly displayed in her story. After her husband died, self-pity could have been an unbearable burden for Ruth, but she did not let misery and poverty sway her. When they arrived in Bethlehem, Ruth’ s first statement to her mother-in-law was, let me now go to the field, and glean ears of corn after him in whose sight I shall find grace (Ruth 2:2). She didn’t bewail her lot; she went to work with determination. Esther sent back a message reminding Mordecai of the fact that no one, not even her, could approach the king without being called for. If someone did approach the king, he would be put to death. The only exception to this is for the king to extend the gold scepter to him and spare his life. Mordecai, however, replied that if she sits idle then she and her father’s house will surely fall as well. Esther is basically saying “I will do what I need to do to save the people, and if I die I die.” She knew she might die, but she chose to act in boldness and went before the king anyway. Both Esther and Ruth show courage in their stories. Ruth keeps going on with her life and doing the best she can, while Esther becomes the hero of a nation. Both Ruth and Esther endure hard ships, another aspect where they are similar. The unusualness of these stories and the rarity of female protagonists in the Old Testament is one reason I feel these two books are very important in reading the Old Testament.